Alfa Laval this week marked ten years of manufacturing marine scrubbers, taking the opportunity to reflect on the industry's shift in attitude towards the technology. "Ten years ago, there were many who didn't think SOx scrubbers were feasible," says Erik Haveman, Sales Director, Exhaust Gas Cleaning at Alfa Laval. "People simply weren't convinced that a scrubber could meet ECA limits while operating in a marine environment, and the doubts about closed-loop scrubbing were even greater. Alfa Laval had sold scrubbers as part of inert gas systems for many years, and we had the water cleaning expertise needed for closed-loop operation. But the system and the challenges here were on a completely new scale." 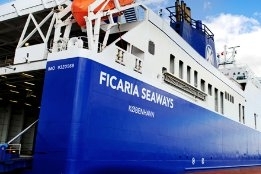 Alfa Laval's first scrubber install was a hybrid system - capable of open and closed-loop operation - in 2009 on the RoRo vessel DFDS Ficaria Seaways. A decade, and thousands of hours of operation later, Alfa Laval says the merits of scrubbers systems have been well proven. And if the surge in scrubber orders witnessed last year is any indication, many in the industry agree. But as the industry heads towards the new 0.50% global sulfur cap that comes into force on January 1, 2020, today scrubbers face fresh questions after the key bunkering ports of Singapore and Fujairah announced bans on the operation of open-loop systems within their waters.